The cover designed is quiet good. But the name really doesn’t have anything to do with the story, yet. It’s okay. Until you don’t judge the book by its cover or name. The narration is beautifully done, it’s fast pace story, the characteristics are good and portrayed well. 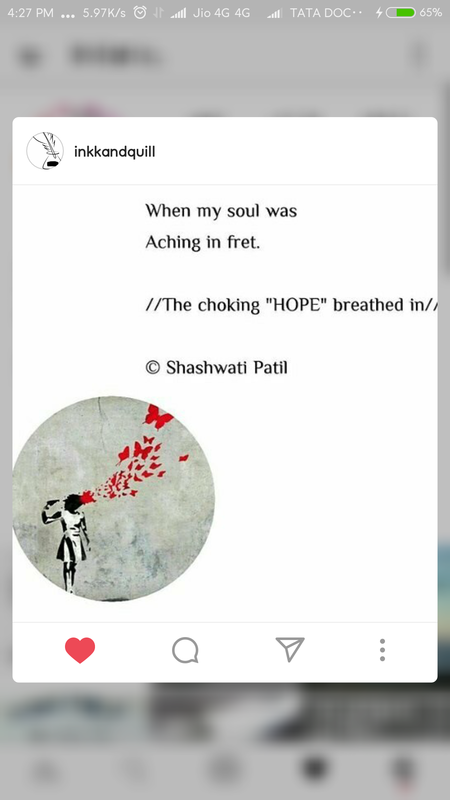 “Inside the heart of hope” is what evryone go through, there are bad times, we all go through thick n thin, sick and sin, but it all depends upon us what we choose to take end of the day. Hope is something that exists in everyone. Maybe sometimes the hope flickers, but yet it remains. This story revolves around a guy Rick who has faced lots of health issues in the childhood due to which he could never enjoy his life fully, he always envied his friends who did so, he also tends to fall in love with a girl, but it doesn’t last long until she knows about his health. But due to hope in him that continues to boost his confidence. He fights against every odd. The story is nicely portrayed, beautified, the charcatefistisation is nice. The cover of the book is okayish, but the title is absolutely connecting to the story. I would rate 4/5 stars. 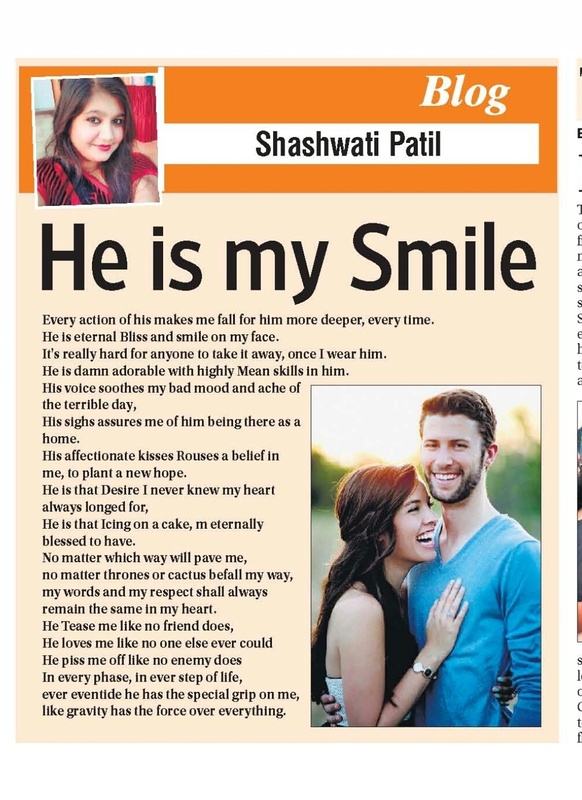 Featured on newspaper, Absolute India, Bhopal edition. When you’re busy with your work, messed up, seeing your own mood swing several times, piles of file to work on, so many files to edit and few to translate. And then your Bestie calls you from blue, starting complaining about you. For not messaging, replying, responding, talking, missing. She piles up stock of complaints on you on & on, without even listening to your one word. She changes my mood instantly, even with her long blabberings and complaints, it still feels good. It feels good to know when someone is shooting you with so much of rights, though smiling mischievously. I know, several circumstances and situations have dragged us somewhere to our work and respective world. But, I haven’t forgotten you. Sometimes, when things go messed up. I remember the old times like we used to have long phone calls, and those never ending conversations on every existing topic on this earth. How we firmly believed that “Letting go” is what we choose, and we wouldn’t “Hold Back” anyone or anything. Sometimes, randomly I miss you, but I don’t have the guts of texting you right then. I see, you have been progressing to the new world. You’re doing amazing. Step every head of achievement and success. I love you. I shall always be your side. Maybe, I will disappoint you. But I will not let you go, or walk out. Remember I always love you. And I m always on your side. 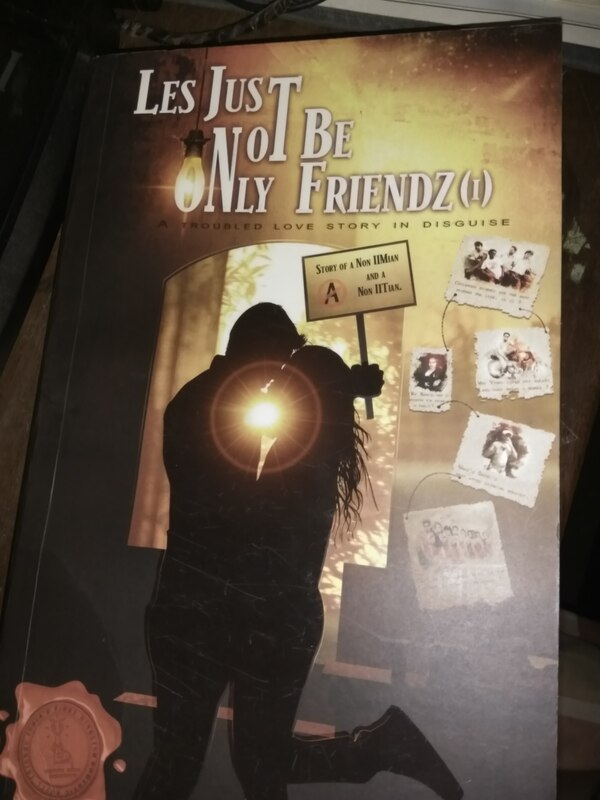 Well, it took longer time than needed to complete this book, the story revolves around Akash who has moved to noida for his further studies, meets his friends, then gradually life changes like any other group of friends live. With all the beautiful and stupid moments living together. The book has nothing new to serve cause that’s what all youngests do, the most cliché things, the book is romance genre, with philosophy. The mindset changes with the few tags, and the perception to look at the outside world. The pace of the story is too slow, which makes you feel irritated with repetitive scenes, it also covers about the life in film school. And how he falls in love at first sight with Neha. The cover of the book is okay-ish, the title isn’t much attractive. The book needs a lot of editing work. The scenes could have been less, the narration skills could have been edited or improved. Nevertheless the first debut book is worth reading one time.